Readers Question: What advantages and disadvantages do high house prices create for the economy as a whole? House prices are rising at an unsustainable level. According to an Economist survey of global house prices, UK house prices are still 31% overvalued. The house price-to-rent ratio still outstrips its long-term average by nearly a third. Wealth/ income inequality. 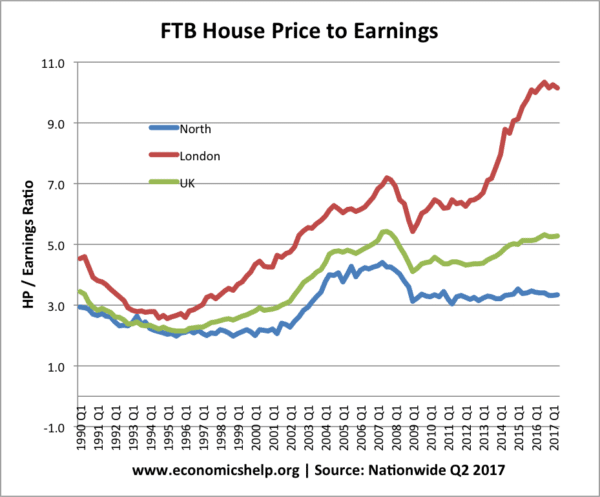 Rising house prices are good for those who own a house (often the older generation) It is bad news for those trying to get on the property ladder. It means that first time buyers have to devote a high % of their income to saving for a deposit and paying a mortgage. Alternatively, those who cannot afford to buy a house are left to rent. But, due to supply shortages, renting is often very expensive. Also, it means those who rent, will face greater poverty in their retirement when they have to continue paying rent. 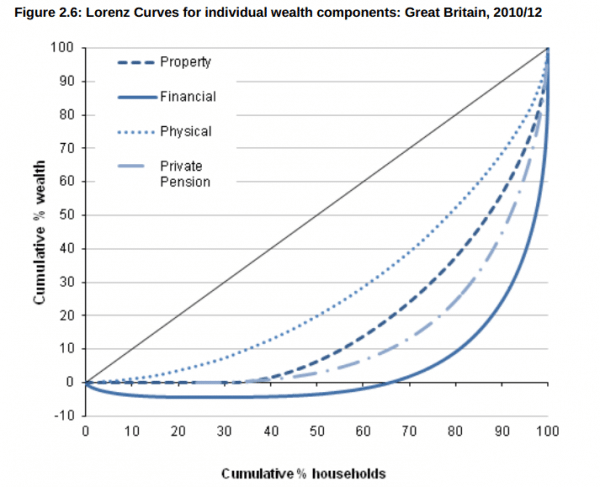 Rising house prices increase inter-generational wealth inequality. Homeowners see a rise in wealth. Those unable to buy experience higher costs of renting, e.t.c.The high value of house prices means that there will be greater wealth inequality, dividing the nation into those who inherit a house from their parents, and those who do not. The rate of return on owning property is greater than the rate of economic growth meaning this inequality is likely to widen. Social change. 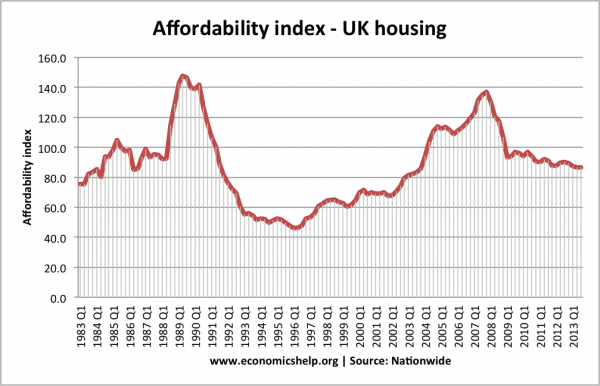 One problem with high house prices is that it is contributing to social changes. Many people are struggling to buy houses in areas where they were brought up; therefore, they need to move to more affordable areas. The cost of housing is changing the composition of London boroughs. Rising house prices mean first-time buyers have to take increasing risks to buy a house. The size of the housing debt means that homeowners are vulnerable to future rising interest rates. The recent government initiative to help homebuyers get credit is encouraging a return to high personal borrowing levels, but this may well leave a more unbalanced economy with low savings and high debt. 4. Risk of rising interest rates. The affordability of mortgages has improved, due to base rates of 0.5% and falling bank rates on mortgages. However, although interest rates may stay low for a considerable time, they will still rise at some point. 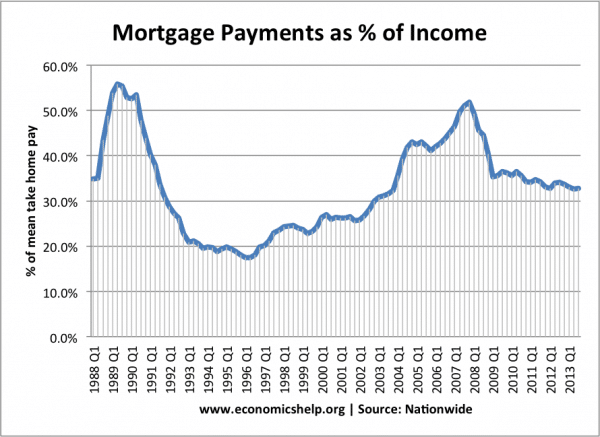 Even a small rise in interest rates would reverse the improvements in mortgage affordability. Many homeowners who have stretched themselves to meet the rising prices, would find mortgage payments taking up a high % of their disposable income, increasing the risk of repossession. Evidence shows that the housing market is particularly vulnerable to booms and bust in house prices. Rising house prices cause a wealth-induced rise in spending, but when house prices fall, it can precipitate a recession. The problem with the current high house prices is that there is always a risk of a fall in house prices as the market corrects the over pricing. Geographical immobility. Expensive house prices make it more difficult for people to move around the country. 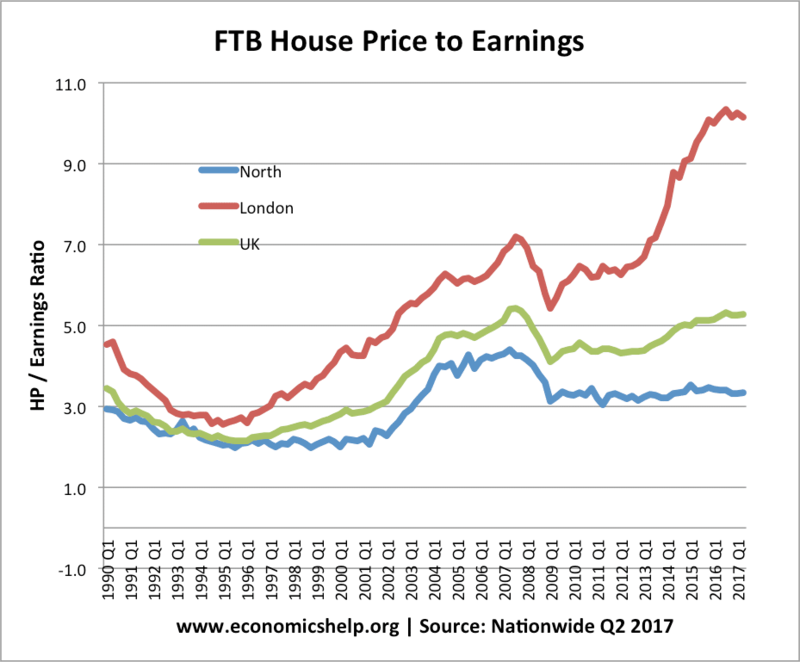 In particular, the rise in house prices is most acute in London, with house prices 7.5 times greater than earnings. This is likely to leave the capital with labour shortages as people prefer to live in more affordable areas. Rising house prices encourage homeowners to spend and have greater confidence in the economy. In a recession, this boost to consumer confidence and consumer spending will help the economy recover. Falling house prices would prolong the economic downturn. Bank Balance Sheets. Rising house prices help to limit negative equity and therefore limits potential bank losses from home repossession. This improvement in house prices may encourage banks to resume more normal lending practices. A good comparison is to look at the impact of the housing market on the Spanish and Irish economies. In Spain and Ireland, house price falls have been much more significant (primarily because in the boom years, there was a rapid increase in home builds, leaving a surplus of houses to drag down prices) The greater fall in Spanish and Irish house prices have been a significant drag on economic growth and a significant factor in worsening the financial situation of their banks. Homeowners can remortgage and gain equity withdrawal to spend in other areas of the economy. 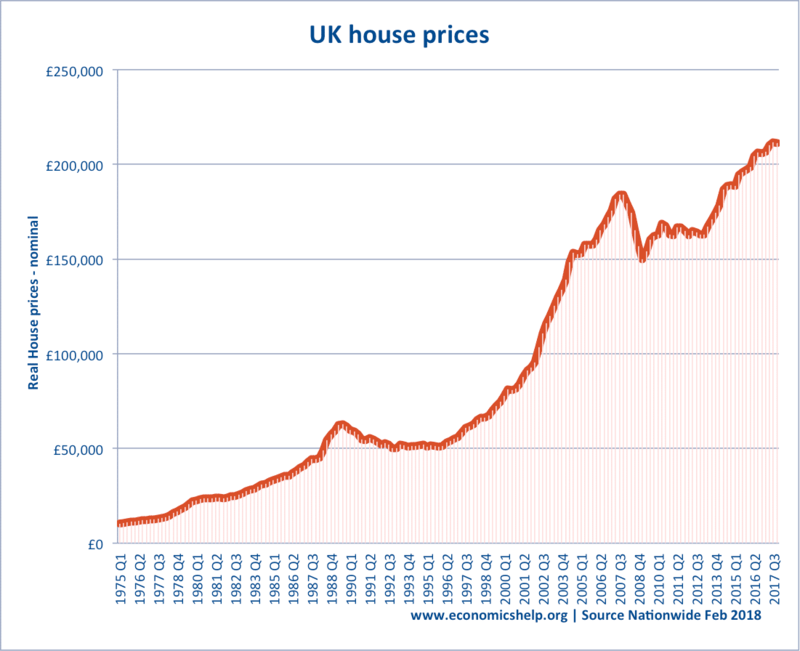 From a short-term perspective, it is good that house prices have stopped falling. The modest rise in house prices will give a boost to the economic recovery. This is important. However, from a longer-term perspective, the continued rise in house price to earnings ratio leaves a great cause for concern. It means that many will seek to take out larger mortgages in order to get on the property ladder. It means the UK economy will be vulnerable and very sensitive to future interest rate movements. It also leaves the possibility of a future house price falls. It also has a big impact on living standards, with many younger people struggling to pay their housing costs. The ratio of house price to earnings is a major economic issue. 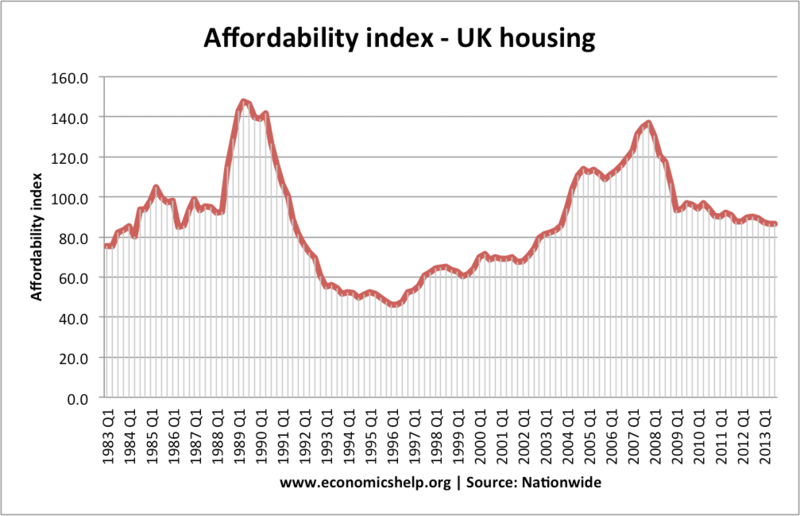 The cost of housing negates much of the rise in average incomes. It is a challenge for government/society to address the fundamental shortage of supply. But, past attempts have proved insufficient. If the UK population continues to rise (with a projected annual rise in the number of households of 250,000), and house builds get stuck at current levels of 100-150,000, the UK experience of overvalued house prices is likely to continue for the foreseeable future. This is definitely bad news for those who can’t rely on a nice inheritance. ← How does the stock market affect the economy? Some of the graphs are very interesting but only show data to 2013. Do you have updated versions to present? Very interesting data. Do you have some new data about Bromsgrove housing market?